Breakfast this morning was on the sweet side: one tiny espresso cup of affogato (vanilla ice cream and coffee), with a hearty piece of Organic Almond Toffee from Amy E's Bakery, LLC (Coquille, OR/Moscow, ID). 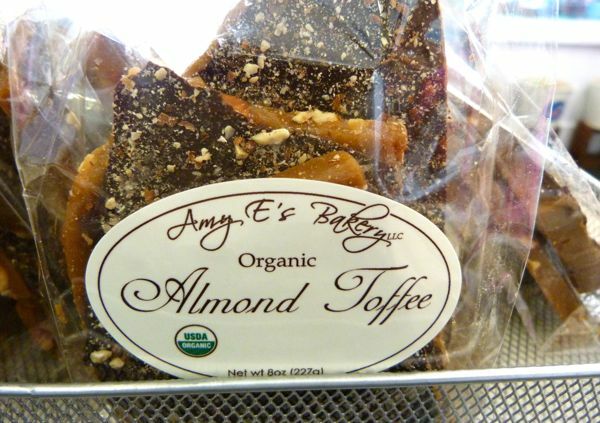 Amy E's thick, buttery slabs of toffee were coated with organic dark chocolate and toasted almond pieces. 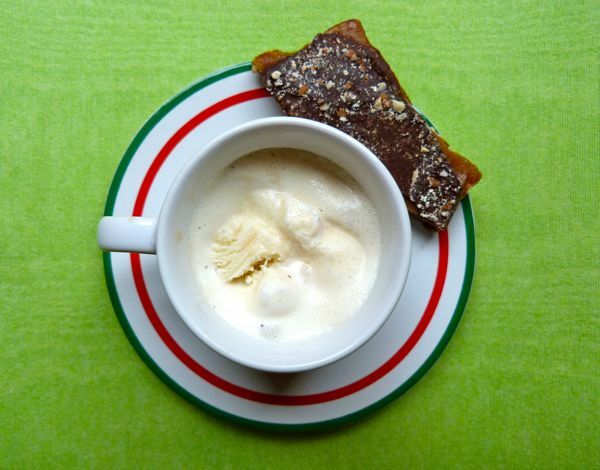 Thank you to Amy Edwards for creating tasty, organic treats.